When you are looking to add shimmer and movement to your table setting at the wedding or any other special event setting, sequin provides you the perfect pick. Ideal to add for any indoor or outdoor setting, sequin provides that intricate design that adds sparkle and class to your venue decor. Our finest collection of sequin tablecloths put all your worries to rest, providing you the perfect cover specific to any event head table, cake table, gift table or more, making them dazzle and taking the entire decor look and feel to a whole new level. Our comprehensive range of trendy and finest quality tablecloths come in 120-inch size and are available in multiple color options, including Red, Champagne, Silver, Fuchsia, black and gold sequin tablecloths. Nothing will spark the feel of glamor like these sequin tablecloths that are made from the finest raw material, incorporating an international standard manufacturing process. Add glitter to your event’s lackluster table setting. 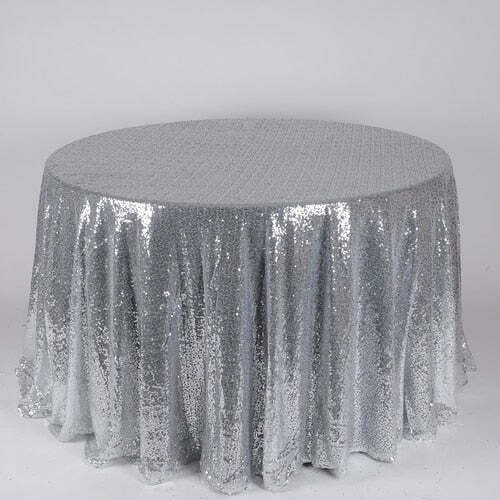 Buy premium quality sequin round tablecloths at affordable prices!